DNR Boat Launch - Rockport site is a popular Salmon fishing launch. During Salmon fishing season, boat traffic can be heavy. Much of the year it is very quiet. 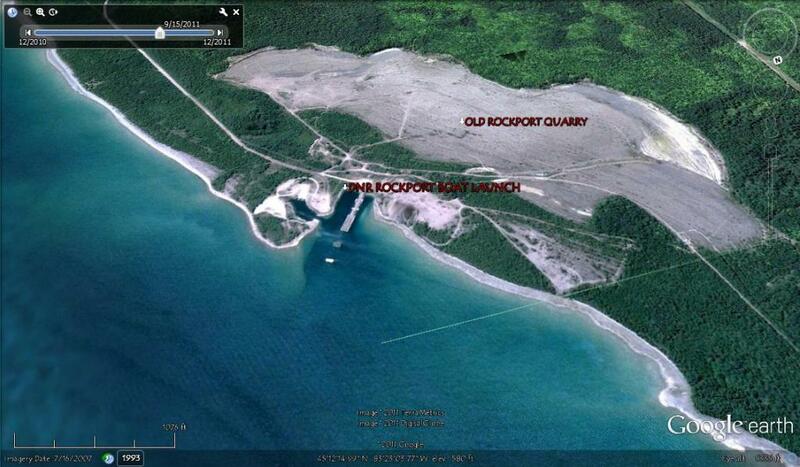 Rockport was an old quarry abandoned several decades ago and is still a popular fossil hunting site. Rockport property has several miles of undeveloped shoreline and unspoiled beaches. Paddle North to Middle Island; and False Presque Isle or South to Misery Bay and North Point. Numerous bays and points as well as shipwrecks make this area a great place to explore.